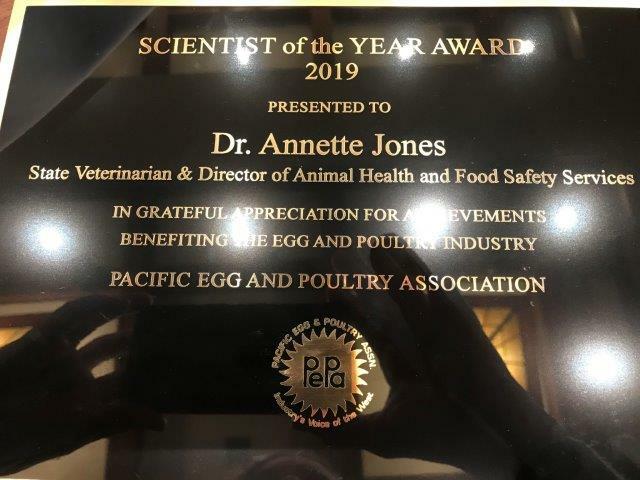 The California State Veterinarian, Dr. Annette Jones, was honored yesterday as ‘Scientist of the Year’ by the Pacific Egg and Poultry Association (PEPA). 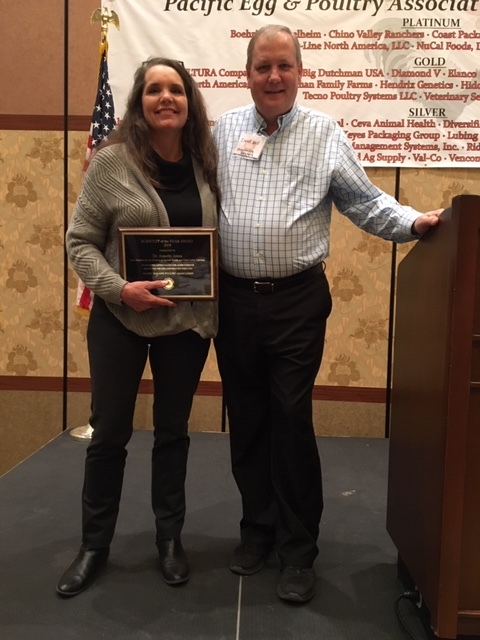 Dr. Jones, who also serves as director of CDFA’s Division of Animal Health and Food Safety Services, is pictured here with egg industry leader David Will of Chino Valley Ranchers. Dr. Jones received the award at PEPA’s 95th annual convention in Anaheim, CA. Congratulations Dr Jones on your well deserved honor. A well deserved honor! Congratulations Dr. Jones!